Amidst all the new construction of the past 10 years, it can be hard to find an affordable classic neighborhood with tree-lined streets in Western Fairfax County. Yet a great one still remains. 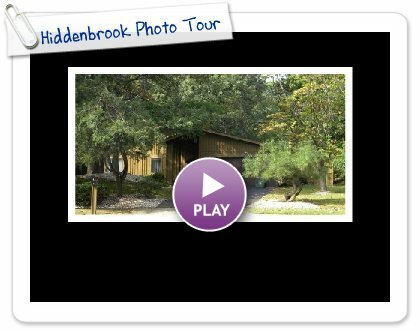 Make sure that you visit Hiddenbrook when you are looking for a home to buy. Home styles offered in Hiddenbrook are split levels, split foyers, ranch, colonials with the occassional contemporary home ...are all here on shady wide streets. One of the encouraging traits of this enclave, is that it remains affordable by Northern Virginia standards...yet is close to major commuter routes and the Dulles high tech corridor. If you have not seen this fine community, it is Americana with generous lot sizes and mature trees. Visit the photo tour in the post below. Well wooded, with generous lot sizes, Hiddenbrook has convenient access to Western Fairfax county's main commuter routes. If you would like a free analysis of your home's current market value, please drop us and email. We are happy to be of service, no obligation and no pressure. As you can see below, home prices in Northern Virginia bottomed in 2009 and have been working their way back up. The number of days it took to sell a property in zip code 20170 stood at 40 days average during February 2014.
you should move to Fairfax, Loudoun or Prince William counties.